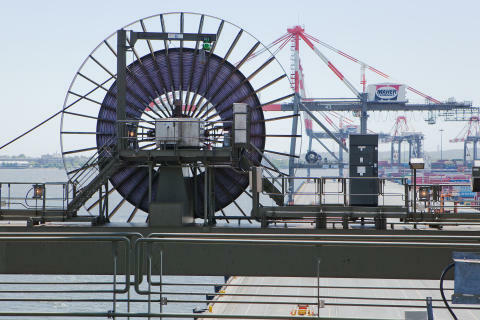 Leading global engineering group Cavotec has won three significant orders for motorised cable reel technologies for installation on ship-to-shore (STS) cranes and rail-mounted gantry (RMG) cranes at DP World's new container terminal at Jebel Ali Port in the United Arab Emirates. 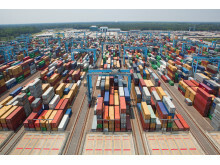 "Achieved through close cooperation between Cavotec Middle East and Cavotec China, as well as our long-standing OEM customers, ZPMC and Trans Gulf Port Cranes (TGPC), and DP World, these substantial orders are an example of our proven track record in handling complex international projects," says Cavotec CEO, Ottonel Popesco. ZPMC, the world's largest port equipment manufacturer, and TGPC, a regional leader in the design, construction and after sales service of cranes, have ordered the equipment, which will be used to power 19 STS and 50 RMG cranes at Jebel Ali Port's new Terminal 3 container handling facility. Under the Terminal 3 project, DP World is currently developing 1,600m of quay wall and 70 hectares of yard space for the new container terminal within the existing port area. 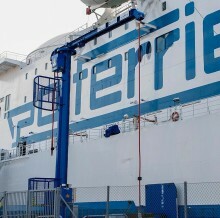 When complete, the facility is expected to handle some four million twenty-foot equivalent units (TEU) annually. 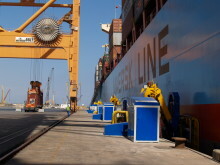 Jebel Ali Port is currently equipped with 22 berths and 79 cranes that cater for the world's largest container vessels. 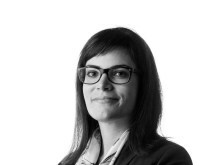 "We are delighted to once again work with our long-term partners ZPMC and TGPC on this project, and we look forward to continuing our cooperation in the future," says Juergen Strommer, Managing Director of Cavotec Middle East. 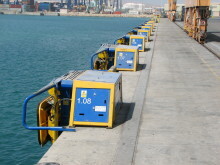 Cavotec equipment already serves container berths at Jebel Ali, and several other DP World applications globally. 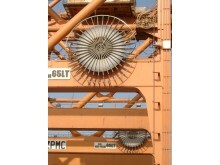 Cavotec is also currently carrying out a project to electrify rubber tyred gantry (RTG) cranes at Jebel Ali. 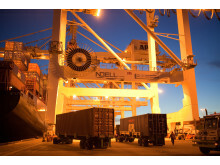 Elsewhere, the Group is in the process of supplying similar equipment for DP World's Rotterdam World Gateway (RWG) terminal in the Netherlands. Cavotec manufactures a diverse range of advanced technologies that help ports around the world to operate safely, efficiently and sustainably. These products include automated mooring systems, shore power technologies, Panzerbelt cable protection systems, crane controllers, marine propulsion slip rings, power chains and connectors, radio remote controls, motorised cable reels and steel chains.